If you are in a league that begins the fantasy playoffs in Week 14, then this is the final week of your regular season. And if your league begins the postseason in Week 15, you are now just two weeks away from the onset of your playoffs. With that in mind, here is the final installment of my ongoing mantra regarding your matchups in Weeks 14-16. You should closely examine the schedule during that span, to make sure that you know which players on your roster will be contending with difficult matchups those critical weeks. If there are more than one or two players in this category, do not simply decide that they are all destined to overcome what awaits them. Even if they have earned a high level of trust bordering on loyalty, because they carried your team throughout the season. That in itself is not a guarantee that they will deliver the level of fantasy points that you have grown accustomed to. This is true of even the elite performers. Which was proven just last year, when both Drew Brees and Peyton Manning delivered their worst statistical performances of the season in Week 14. This is not a recommendation for you to panic and mindlessly bench your proven starters if they are facing formidable defensive units. But you should examine the matchups, and strongly consider avoiding lineups that consist of too many players who are dealing with these unfavorable situations. With that point firmly established, we can resume our focus on the Week 13 quarterback rankings and matchups, which will help determine your best plan for this week’s contests. Enjoy the games, and good luck to everyone. Palmer has adroitly directed Arizona’s high octane passing attack to repeated success this season, regardless of the opponent. But in Week 12, his overall numbers did not match the level of production that he has achieved during his 10 previous games. Nor did he take advantage of an enticing matchup against a San Francisco pass defense that was ranked 27th and had yielded 17 touchdowns. Palmer ultimately produced 271 yards versus the 49ers, which was his lowest output since Week 5. He also failed to register a touchdown for the first time this season. He did run for a seven-yard score, which was his first rushing touchdown of the year, and just the eighth of his 12-year career. This week he will lead the Cardinals into St. Louis to face the Rams, who have surrendered seven touchdowns through the air in their last three games, after yielding only five in their first eight. Brady had been averaging 338 YPG, and had accumulated 24 touchdowns between Weeks 1-10. But his output in Week 11 had been a sizable departure from that exceptional production, as he was relentlessly harassed into a 277-yard, one touchdown performance by the Bills. But in Week 12, he delivered numbers that more closely resembled what he provided during his initial nine games, by burning Denver’s league leading pass defense for 280 yards and three scores. Even though he has lost Dion Lewis, Julian Edelman, and Danny Amendola, Brady continues to lead the NFL with 28 touchdowns, and his 3,600 yards also place him first among all signal callers. Even without Rob Gronkowski in the lineup, nothing will deter Brady from achieving excellent numbers against a Philadelphia pass defense that has thoroughly collapsed in recent weeks. Newton enters Week 13 with only a 5:3 TD/INT ratio, and a 194 YPG average in his five road games this season, having produced multiple touchdowns just once, while failing to reach 200 yards three times. That includes his underwhelming 183-yard, zero touchdown performance on Thanksgiving Day in Dallas. However, game script sizably influenced that output, as Carolina’s defense assembled a pair of touchdowns, which helped propel the Panthers to a 23-3 first half lead. And as often is the case, it was his prowess as a runner that boosted the point totals of owners. He rushed for 45 yards and a score, which was his seventh touchdown on the ground this season. That easily leads all quarterbacks, and trails only Devonta Freeman and Adrian Peterson among all players. Newton’s prospects of achieving massive success through the air and on the ground are excellent this week, as New Orleans ranks 31st against the pass, and 29th versus the run. Roethlisberger's season has been condensed to seven games as a result of three different injuries, which have also forced him to depart three of those contests. Yet, he has still thrown for over 300 yards five times, and generated multiple scores in three different games. The only exceptions were Week 3 when he suffered the knee injury, and Week 8 in his first game back from that lingering issue. In Week 12, he completely dissected the once formidable Seattle pass defense for a season high 456 yards and a touchdown. This week, Roethlisberger and his collection of dynamic weapons will not encounter the same level of resistance, when the Steelers line up against the 29th ranked pass defense of Indianapolis. Expect him to exceed 350 yards, and amass multiple touchdowns. Owners who were competing against teams with Stafford in Week 12 could not be blamed for wondering if they cared more about having Philadelphia's defense stop him than the Eagles did themselves. That would be a legitimate question, based upon the embarrassing "effort" that they displayed, as the Lion signal caller dissected them at will for 337 yards and a career high five touchdowns. It was just the second time that he has surpassed 300 yards this season, although it was his sixth game with multiple scores. Stafford has built a stellar 8:1 TD/INT ratio during the last three contests, including his rushing touchdown against Oakland in Week 11. That three-game stretch began against this week’s opponent, when he produced 242 yards and two scores in Green Bay. He should accumulate even more yardage and several touchdowns in the rematch. Despite continuing evidence that Dalton had finally developed into a dependable and proficient weekly QB1 in his fifth season, many owners and observers were still convinced that a catastrophic meltdown was imminent earlier this year. When he did actually struggle in Weeks 8 and 10, a percentage of those owners quickly secured other starters. However, Dalton’s certainly remains a viable option, as he continues to build an impressive 2015 resume. He is currently eighth among all quarterbacks with 2,971 yards, and is tied for fifth with 23 touchdowns. Plus, he has also thrown just six interceptions. This week, he should deliver outstanding numbers, versus a Cleveland pass defense that ranks 25th. The Browns have surrendered the third most touchdowns through the air (23), have permitted eight different quarterbacks to throw for multiple scores, and will be operating on a short week. It has become increasingly apparent that there is no additional gear for the Packers passing attack to move into. This year's version of the Green Bay offense is simply not going to produce at the level that we have become accustomed to, and the loss of Jordy Nelson was far more significant then many people within the fantasy community had predicted. Rodgers’ modest output in Week 12 was the latest evidence that his ceiling in remaining contests should be lowered, as he managed 202 yards and one touchdown. It was the fifth time that he could not reach 225 yards, and he has still only amassed 300 in three different contests. One of those occurred in Week 10 when he faced Detroit, and he will attempt to generate similar output this week. 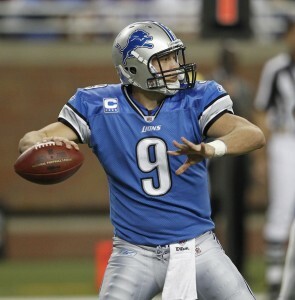 However, the Lions are performing with greater proficiently since that original matchup. Cutler owners can start him with confidence this week, as a result of his recent proficiency, and this week’s excellent matchup. Since returning under center in Week 4, Cutler has been masterful in executing OC Adam Gase’s offense. He has crafted a TD/INT of 12:4, and has produced 271 YPG. After averaging 15 interceptions during the first nine years of his career, he has reduced that total to just six this season. He has also persevered through injuries to Alshon Jeffery, Eddie Royal, Martellus Bennett and Matt Forte while remaining productive, and elevating his value into QB1 consideration on a weekly basis. That status is enhanced considerably this week, as Cutler should dissect a San Francisco pass defense that has struggled mightily on the road. In Weeks 7-10, Carr amassed at least 289 yards in all four contests, while generating 13 touchdowns during that span. But his production diminished in Week 12, when he only managed a paltry 169 yards, and failed to connect for a score against the Lions. Fortunately for those who ignored the urge to bench him, Carr regained his momentum in Week 12, by shredding the Titans for 330 yards and three touchdowns. He has now surpassed 300 yards in six games, and has accumulated multiple touchdowns in eight different contests. As a result, he has built a TD/INT ratio of 24:6, is tied for third with those 24 touchdowns, and is 10th among all signal callers with 2,895 yards for the season. This week, he will be challenged by a Kansas City defense that had allowed just four touchdowns between Weeks 6-11, before being torched for three scores by Tyrod Taylor in Week 12. While his performances continue to fall well short of flawless, the second year signal caller still provides appeal as a QB1. Not only is he working within a system that enables him to launch the ball repeatedly, but he is also progressing through a sequence of favorable matchups. He exploited San Diego’s 24th ranked pass defense for 329 yards and two scores in Week 12, which was the fourth time that he has eclipsed 300 yards this season. He is now eighth overall with 2,952 yards, seventh with 23 touchdowns, and his 435 attempts are the league's third highest. In his next four encounters, Bortles will line up against the Titans, Colts, Falcons and Saints, with ongoing potential to deliver high quality production in every contest. Bortles will attempt to improve upon his output against Tennessee in Week 11, when he manufactured 242 yards and one touchdown. Any Manning owners that were scrambling to secure a playoff slot received a massive scare in Week 12, as Manning had not even generated a touchdown through three quarters of his matchup with Washington. While his overall fantasy point total ultimately was respectable as a result of two late game drives that resulted in scores, Manning was not proficient. He tossed a season worst three interceptions against the Redskins, and only connected on a season low 51% of his passes. After only limiting himself to four interceptions in his first eight contests, he has now thrown five in his last three. As a result of his late game production, he has manufactured multiple touchdowns in eight contests, has now exceeded 300 yards in four times, including three of his last four games. However, the recent degree of sloppiness that did not exist in Manning’s earlier games should concern owners. Brees returned from his Week 11 bye to contend with a revitalized Houston pass defense that had allowed just one touchdown and 195 YPG to opposing signal callers in their last three contests. Unfortunately for Brees owners, the Texans continued their recent stinginess, by holding him to 228 yards, and keeping the New Orleans offense out of the end zone. It was the second lowest yardage total for Brees this year, and it was the first time that he has not produced at least one score. While his 20 touchdowns this season tie him for eighth among all quarterbacks, owners should be aware that 14 of them have been generated inside the Superdome. Otherwise, Brees has only manufactured a highly unimpressive 6:6 TD/INT ratio in his five road games this season. That should not be dismissed when Brees and the Saints travel to Tampa in Week 14. In the meantime, this week's encounter with Carolina's menacing defense should also create unease among owners. As mentioned previously, only five of Newton’s 20 passing touchdowns have been generated away from the familiar confines of Bank Of America Stadium. But he will improve that total this week, versus a New Orleans defense that has been incapable of slowing down opponents this season, particularly through the air. They rank just 31st against the pass, and are permitting 284 YPG. The 30 touchdowns that they have yielded are five more than any other team. They are equally incapable of garnering interceptions, as they have only managed five during the entire season. This has enabled quarterbacks to average 29 fantasy points per game, which is over four points more than any other defensive unit. Enemy signal callers are also achieving a QBR of nearly 116, and the Saints’ season long resume reveals that Newton should encounter no difficulty in exploited them repeatedly. Who among you would not want your quarterback matching up against a Philadelphia defense that has become woefully ineffective? The collapse of this unit since the loss of Jordan Hicks has been absolute, and their effort has degenerated to the point that what had been a respectable group, is now essentially non-competitive. They have now surrendered 25 touchdown passes, as only the woeful Saints have yielded more. They were torched for 15 in their last four games alone, including five each to Winston and Stafford during their last two painfully ugly performances in Weeks 11-12. The Eagles also surrendered 45 points in both games, and are yielding 25 PPG for the season. Philadelphia clearly possesses massive issues that have deterred their ability, and apparently their desire to compete. This is an outstanding situation for Brady and his owners, after dealing with the Bills and Broncos in Weeks 11-12. He has an excellent chance to replicate the recent statistical bounty that Philadelphia has been permitting, and that will occur this week. Cutler’s floor has been raised above its customary level this season, as he has been providing acceptable production, while avoiding costly interceptions that have traditionally punished his owners. This week, he should thrive when facing a San Francisco defense that ranks 28th against the pass. This unit has been significantly more vulnerable when performing on the road than they have been at Levi's Stadium. In their six home games, they have allowed 268 YPG, and five touchdowns, while garnering five interceptions. But in five road games, that YPG average soars to 314, while they have also been torched for 12 touchdowns, and have collected just two interceptions. Roethlisberger, Eli Manning, and Wilson all amassed three touchdowns during their encounters with San Francisco, while Palmer, Roethlisberger and Manning all surpassed 300 yards. Cutler should exceed 300 yards, and produce at least two scores during this highly favorable matchup. Rivers has managed to remain among the league leaders in multiple categories, despite having to overcome an inordinate number of injuries that have adversely impacted his offensive line, and his receivers. But this week’s output will not be among the most prolific that Rivers will supply this season, as he must contend with AFC West rival Denver. The Broncos defense has been the NFL's premier unit throughout the season, and it really hasn't been that close. They did receive their most massive challenge of the year in Week 12, when Brady and New England's aerial attack traveled westward to the Mile High City. But even after confronting the NFL’s most effective offense, the Broncos remain the league leader in pass defense. They are permitting just 197 YPG, and are tied for first in passing touchdowns allowed (11). Their persistent pass rush has accumulated an NFL best 37 sacks, and they still have not 300 yards to anyone quarterbacks this season. Keep these statistics in mind before you start Rivers. While Brees and the New Orleans offense are certainly explosive, they will be tested in this matchup. Carolina’s pass defense continues to confound opposing quarterbacks and coordinators in suffocating fashion. On Thanksgiving Day, they limited Tony Romo to 106 yards, pilfered three of his passes, and turned two of those interceptions into touchdowns. They Panthers now rank sixth against the pass, and lead the NFL with 18 interceptions. Only four teams have surrendered fewer touchdowns (13), and they are also third with 33 sacks. They still have yielded multiple touchdowns in just two games this season, and have only allowed two quarterbacks to reach 300 yards. Opponents are also scoring just 18.6 PPG against Carolina, which is the league’s second lowest total. If your team is fighting for the fantasy playoffs, you should not expect Brees to deliver production that will reside anywhere near his season long averages. The Saints entered Week 12 ranked second in total offense (414 YPG) and passing offense (313 YPG), while averaging 25. PPG. But the smothering Houston defense restricted what had been a potent New Orleans attack to just 14 first downs, 268 total yards, and no touchdowns. In their last four games, the Texans have allowed only one touchdown, have accumulated five interceptions, and have collected a whopping 15 sacks. This unit had been extremely disappointing through their first seven contests. But since that time, they have performed with great proficiency in all facets of defense. From swarming to the ball, to harassing enemy signal callers, to providing outstanding coverage throughout the secondary. Houston has now ascended into eighth in total defense, and is fifth against the pass. Owners in deeper leagues should not depend upon Taylor when the Texans invade Ralph Wilson Stadium this week.